In August 2017 Oceania Gymnastics (the newest sport on the scene in the islands of the central and south pacific) and Oceania Sport Education Program (OSEP) signed of a Memorandum of Understanding. Whilst gymnastics has existed in Australia and New Zealand for well over 60 years, it wasn’t until 2015 that the sport was established in other Oceania countries. Emerging Gymnastics Federations of Oceania may not yet be competing at the Olympics or on the world stage, but that is the ultimate goal and it is for this reason that, Oceania Gymnastics believes this MoU is particularly important. The purpose of the MoU is to formalise Oceania Gymnastics as an OSEP accredited training provider across the Pacific. OSEP is a partnership between the Australian Sport Commission (ASC), Oceania National Olympic Committees (ONOC) and the Organisations of Sport Federations in Oceania (OSFO). The program is funded and managed by ONOC through its Suva office. 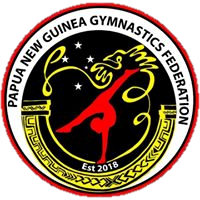 Oceania Gymnastics consists of member federations Fiji, Cook Islands, American Samoa (in addition to Australia and New Zealand). Support is also being provided to Guam, Tonga, Papua New Guinea and Samoa who are seeking membership of the International Gymnastics Federation.